Spending the day at A1K9 in Swansea, Wales was without doubt one of the most interesting days we have had out this year. A1K9 really know their stuff with nearly 30 years experience in the business. 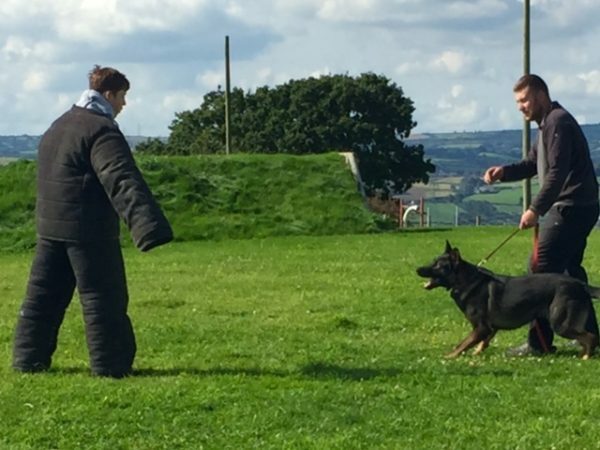 Watching them train their dogs was a fantastic experience, the dogs have all been trained to protect yet have this amazing ‘off switch’ with unrivalled social skills. We were all happy to stroke each dog we met, yet their intensity when put to work was unquestionable. Both David and Stanley were allowed to suit up in a professional bite suit to experience a bite from one of their highly trained dogs for themselves. 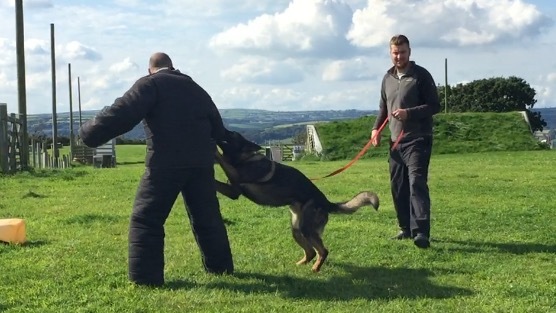 David said “In this position you realise that the speed and intensity of these dogs is unbelievable, any wrong doer would certainly have their work cut out trying to defend themselves”. Stanley loved the experience and was completely floored more than once by one particular dog, the dog not only knocked him to the floor but firmly held him there until called off, the dogs ‘out’ is instant every time showing that although they are incredibly powerful the control is always there. Stanley loved every minute of it and spent three days talking about nothing else.